As one of the last buildings designed by Vancouver’s world-renowned architect, Bing Thom, the stunning landmark mixed-use development features a signature 54-storey skyscraper with sweeping views of English Bay, the North Shore Mountains and the Downtown Skyline. The building has 810 condo units including 87 rental units, and over a million square feet residential and commercial space. 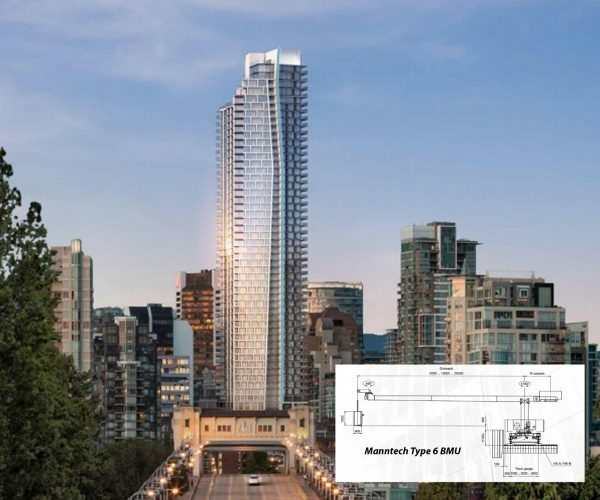 A 13-storey AAA offices tower at Burrard Place will animate one of the most prominent corners of one of Vancouver’s most notable streets. Complementing the curving glass of the exterior, the office interiors will be among the finest in the city.